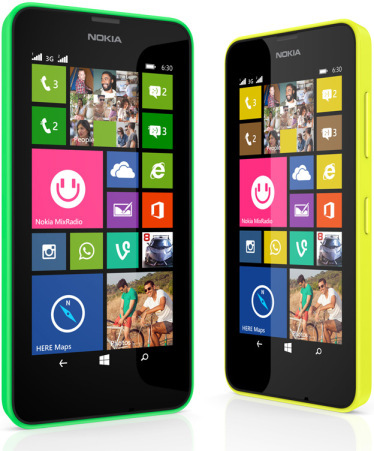 Nokia Lumia 630 was introduced earlier this month on April 3rd at Microsoft Build 2014 among other Windows 8.1 devices, the Lumia 930 and sibling Lumia 635 which is a 4G LTE variant for markets supporting LTE. The three devices were slated to hit the markets in June but seems this is not going to be the case afterall. India has already had their launch earlier today according to Techticker. This will be followed by availability in the market in the course of the week. The devices to sell in India as per the launch are Lumia 630 dual and single SIM options. Price was expected to be $169 off contract for the dual-SIM version and $159 but I think this is before taxes as the India pricing has it at $193 (Kshs 16,800) or Rs. 11,500 for the dual-SIM option and Rs. 10,500 for the single SIM option, equates to $176 or Kshs 15,320.